All product and application information available on your device anytime. 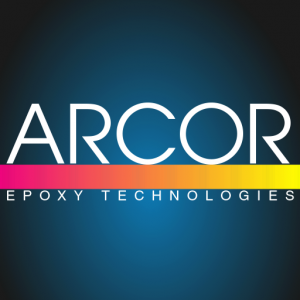 Go to your app store and search for “Arcor Epoxy Technologies” to find the new ARCOR App. Or you can click on the icons to the right of this page using the device that you would like to install the app on. Q: How often should I update the documents on the app/Do they update automatically? A: The app will not update automatically unless you set it so. We recommend updating the app once every month to ensure you have the latest version. Q: Is it available in my language? Q: Will it work on my device? A: As long as you have an Apple device running iOS Version 7.0 or higher, or an Android device running Version 4.0 or higher, the app should work with your phone or tablet. If you experience any problems with installation, please let us know. We hope you enjoy the new ARCOR app.